Chettikulangara Devi Temple, one of the ancient temples located at Mavelikkara in Alappuzha is famous for the annual Bharani festival. The festival falls on the Bharani asterism in the Malayalam month of Kumbham (February-March). What makes the festival stand out among the other festivals is the spectacular event called kettukazhcha, a ceremonial procession of brightly decorated structures. 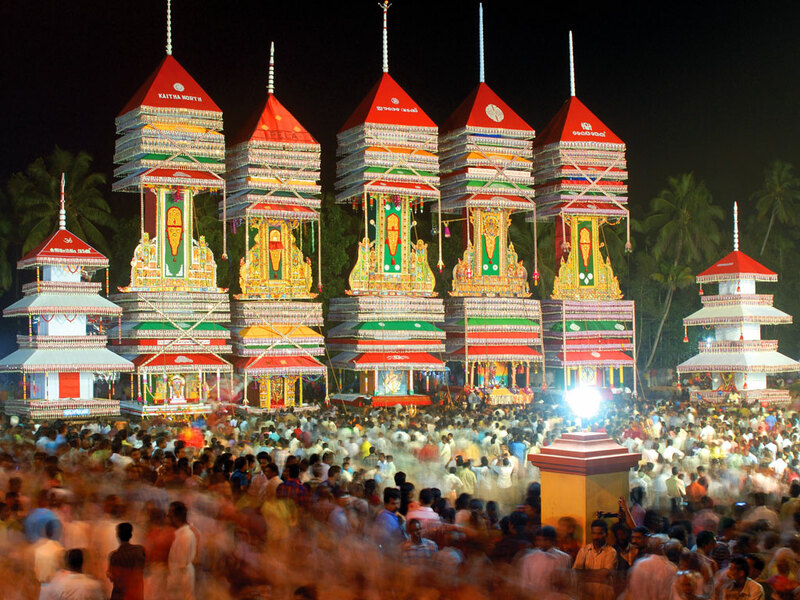 The dazzlingly decorated structures; the bigger ones assumed as horses (Kuthira) and the smaller ones as chariots (Theru) are the highlights of Chettikulangara Bharani pageantry. Kettukazhcha is an offering of the people to the deity and proceeding from different points in the village, representing that particular region, and demonstrate the harmony that is there in these hamlets. Chettikulangara Devi Temple also celebrates another major festival on Aswathy asterism on the Malayalam month of Meenam (March –April). This festival is celebrated as sending good wishes to the deity for her journey to visit her mother at Sree Kurumba Devi Temple, Kodungalloor. In the evening the temple premises will be filled with 100 different sized decorated effigies of Kuthira and Theru, mainly brought to the temple made by the children. 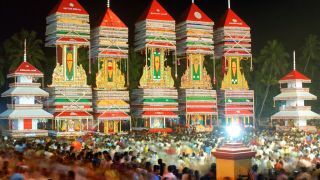 Though the sizes of the chariots are comparatively smaller than that of Bharani festival, the Kettukazhcha pageantry of Aswathy Utsavam is more spectacular. Next year the festival will be held on 20 March 2018. Dedicated to mainly to Goddess Bhadrakali, here goddess is worshipped in three different forms - Maha Saraswati, Maha Lakshmi and Maha Kali or Durga. Chanthattam is the main offering of the temple.